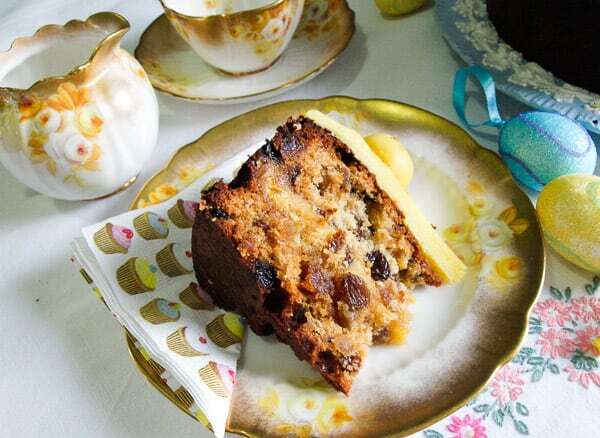 Easter Simnel Cake is a traditional fruit cake featuring a layer of marzipan inside and on top of the cake. 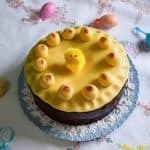 Let me show you how to make an Easter Simnel Cake, If you love marzipan, you are going to love it! 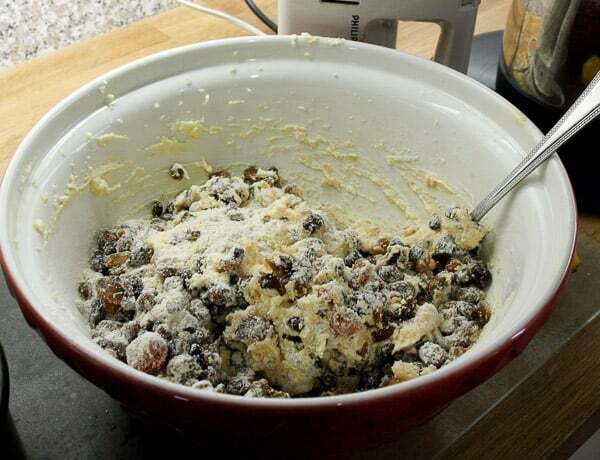 Put all the cake ingredients into a large bowl and mix until thoroughly blended. Spoon half the mixture into an 18 cm tin and top with a round of marzipan. Add the remaining mixture on top of the marzipan and smooth the top. 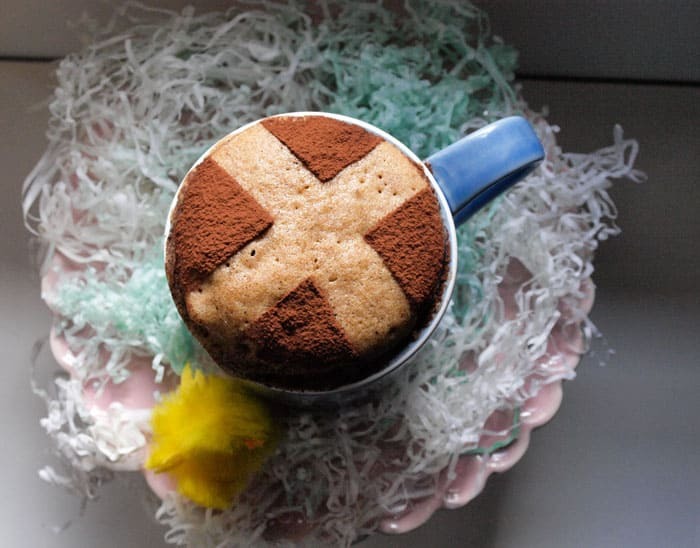 When the Easter Simnel Cake is baked, place another round of marzipan on top of the cake and decorate with eleven balls of marzipan. Grease and line an 18 cm round cake tin with baking parchment. 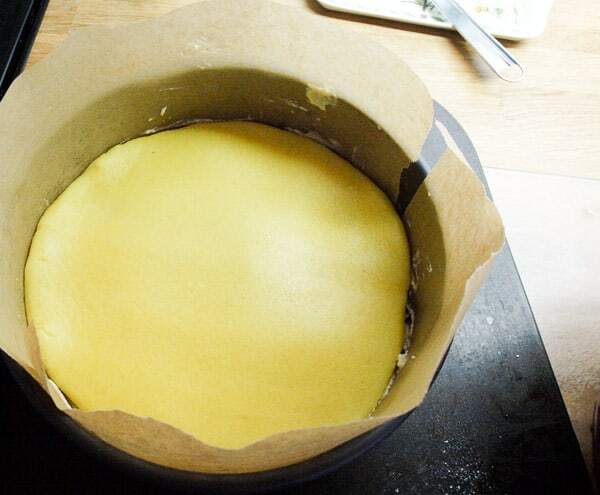 Roll out 1/3 of the marzipan and using the cake tin as a guide, cut out an 18 cm circle. Set aside. Place the butter, sugar flour, dried fruit, cherries, lemon zest, 3 eggs and the mixed spice in a large bowl and beat until fully combined. You can do this by hand but a stand mixer makes the job really easy. Spoon half the mixture into the lined cake tin, top with the round of marzipan. Cover with the remaining cake mixture and level the surface. Bake for 2 hours 15 minutes or until golden brown. Check that it is baked by pushing a skewer into the centre of the cake, if it comes out sticky it's not baked, if it's clean then the cake is ready. 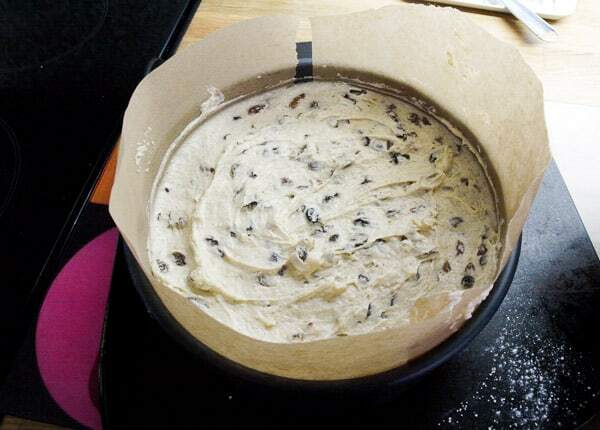 If the cake seems to be browning too quickly, cover it with some baking parchment. When the cake is completely cool, warm the apricot jam and use it to brush the top of the cake. Roll out half the remaining marzipan to an 18 cm round and put it on top of the jam, crimping the edges into an attractive pattern. Roll the remaining marzipan into 11 balls, brush the base of each with egg white and place evenly around the edge of the cake. Using the remaining egg white, brush the marzipan and the marzipan balls. Then place under a hot grill until the balls are golden brown and slightly bubbling. The eleven marzipan balls on the Simnel Cake represent the 11 disciples of Jesus Christ excluding Judas. Oh that’s great to hear. Happy Easter to you and your family. 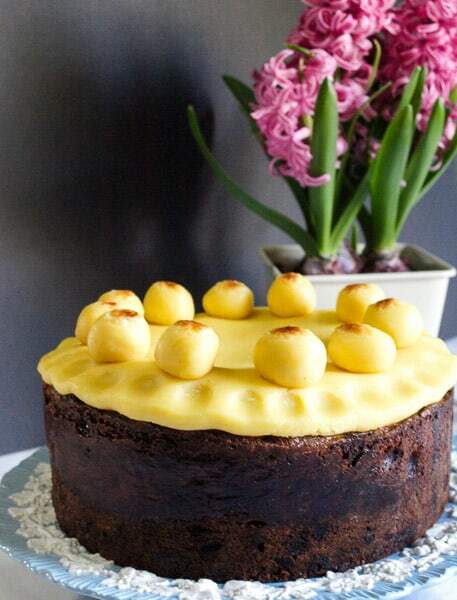 Ooh your simnel cake looks so cute with the little chick shivering on top. I adore marzipan and this is one of my favourite cakes. 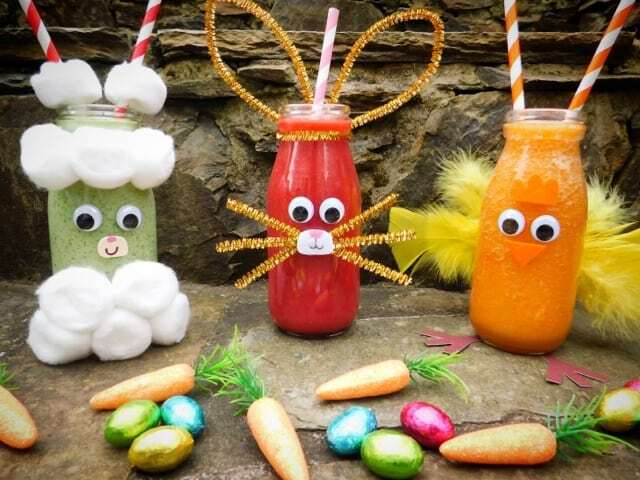 Thanks for showing my Easter eggs – can’t believe I made them now. Thank you. I love a nice fruit cake and the marzipan just makes it so much better. 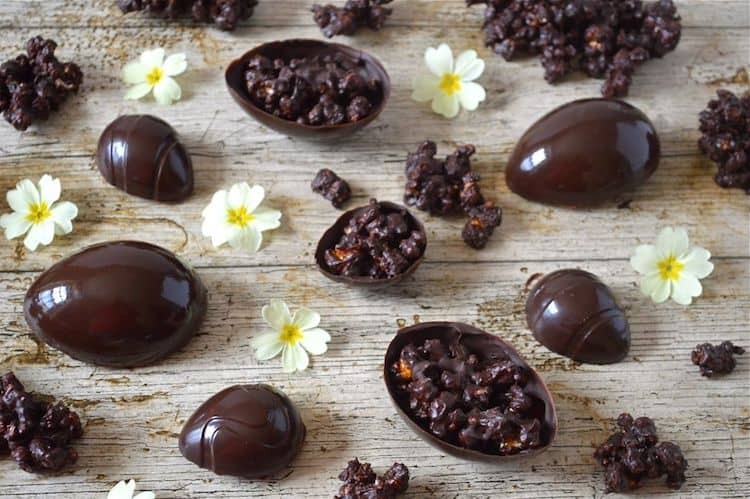 Your chocolate eggs look so good, just my kind of thing. 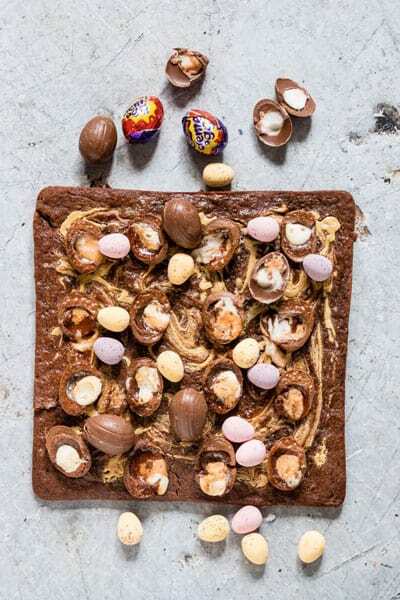 I’ve always wanted to make a simnel cake for Easter and now I can! I can’t wait to make your recipe. That’s very kind of you to say so Sisley. It’s a lovely cake and very easy to make, i’m sure yours will also be a lot neater than mine! 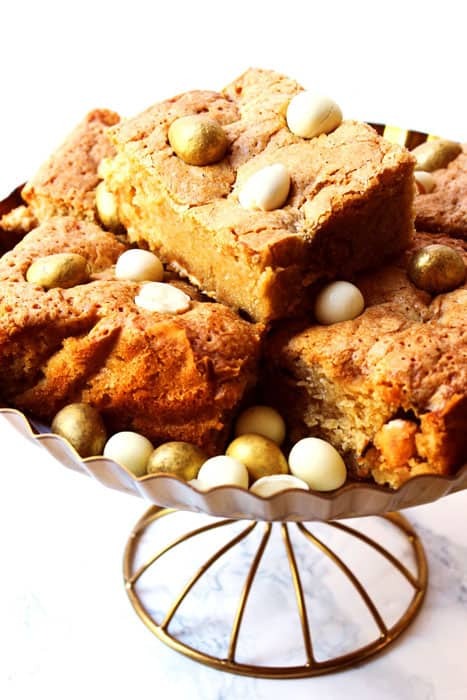 Oh I adore anything with marzipan – Simnel cake is a must for Easter. 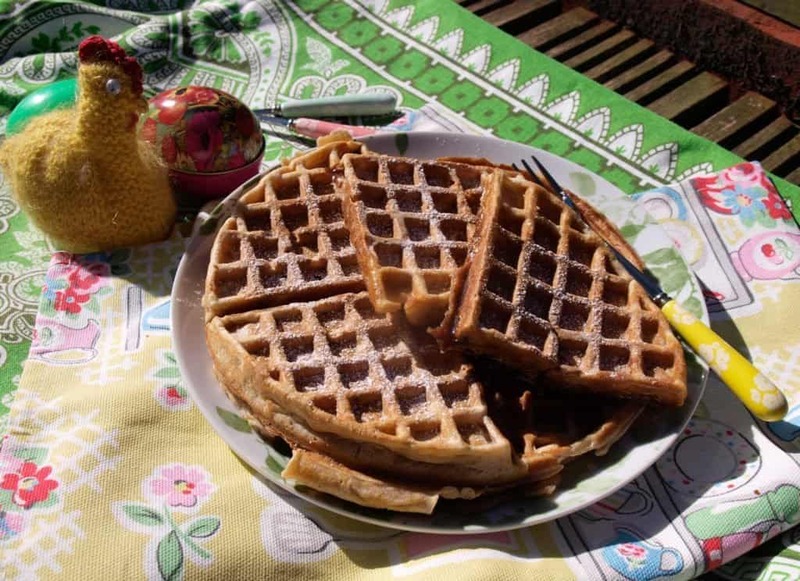 Yours is so neat and tidy – Yay for little fluffy chicks! Me too, Helen. Thank you, I’m not a natural neatnic and had to try hard to make it look even so thank you for noticing! Thank you, it’s a favourite in our house. Thanks Emma, it is a must for me, I love fruit cake and marzipan! You don’t have to miss out. 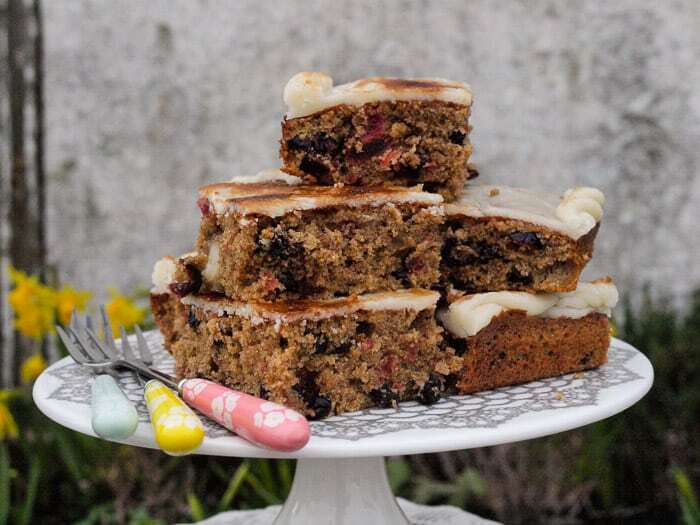 Simnel Cake is traditionally made for Mothering Sunday, but it’s good any time! Thanks for the recipe. It looks yummy and healthy. I’ll must try this one. Thanks Kimberley, I hope you enjoy it.